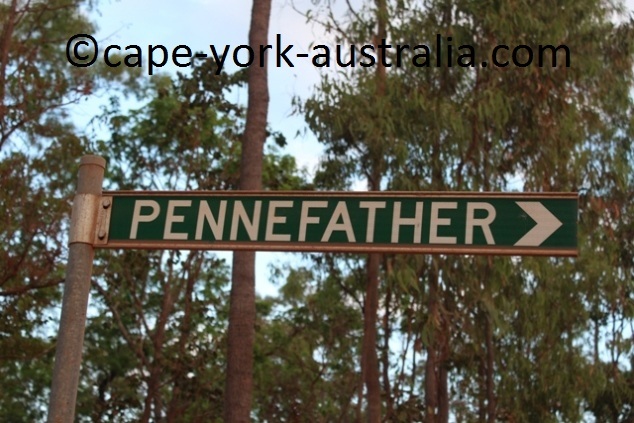 Pennefather is a nice coastal spot north of Weipa. 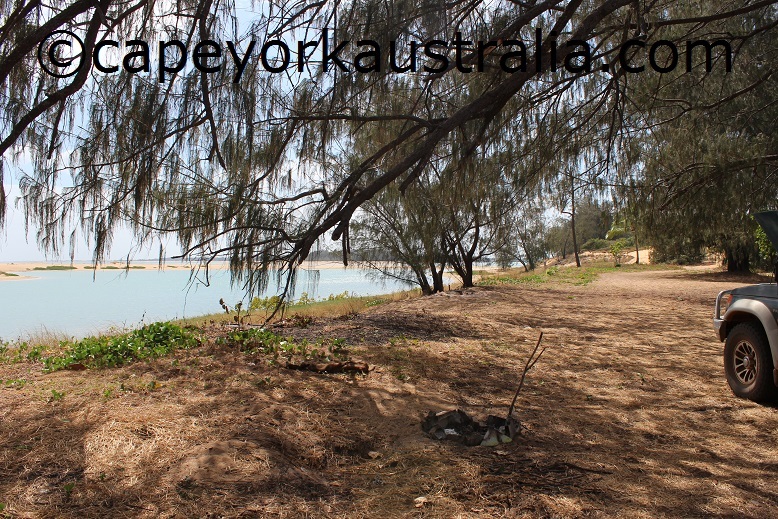 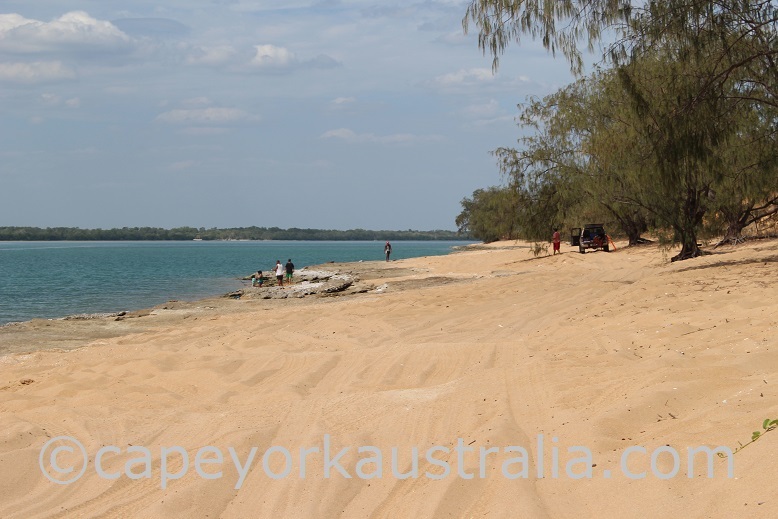 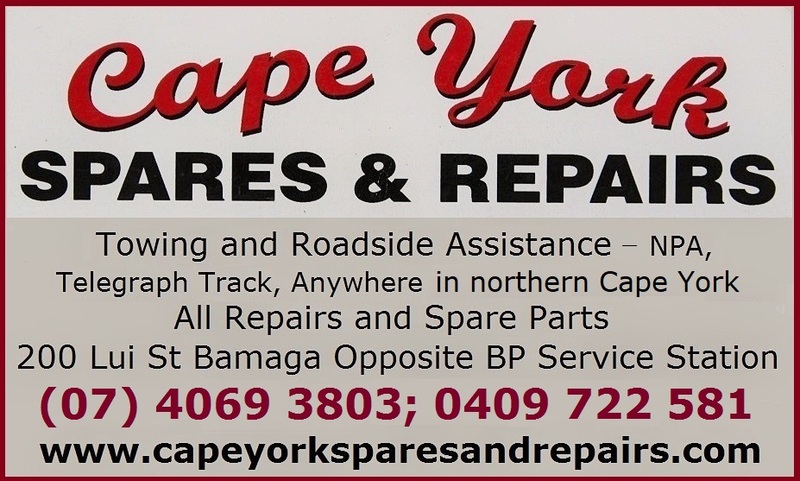 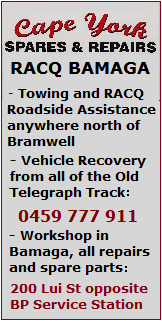 It is a great place to fish and camp, close enough to Weipa. 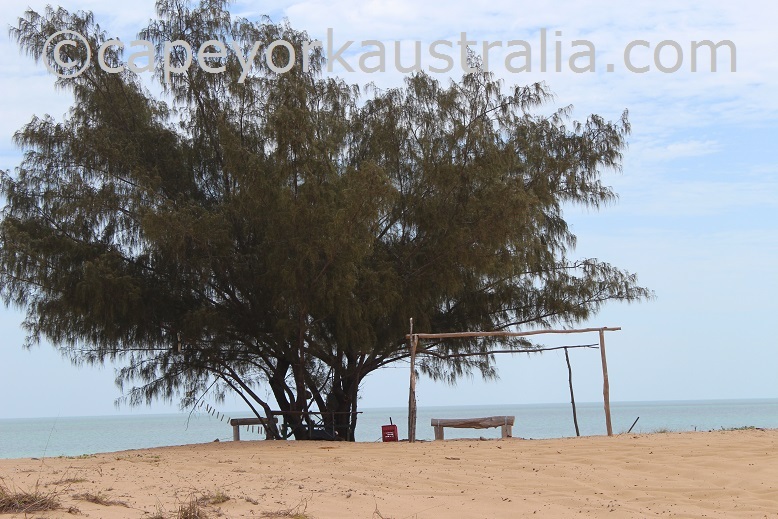 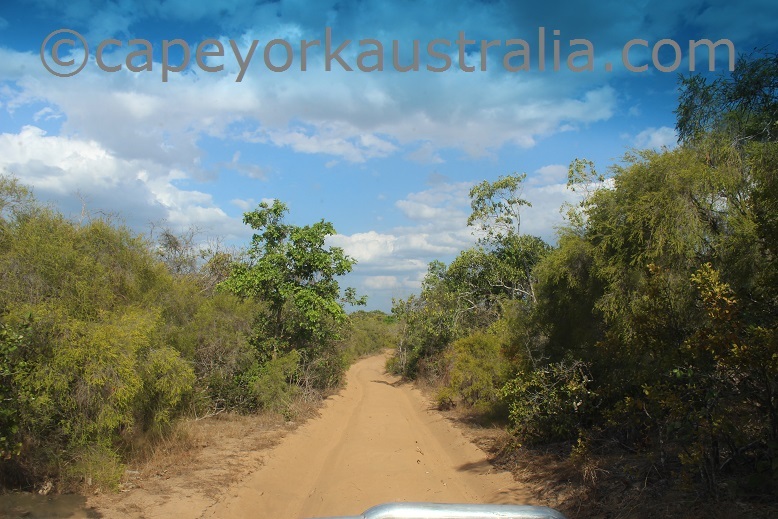 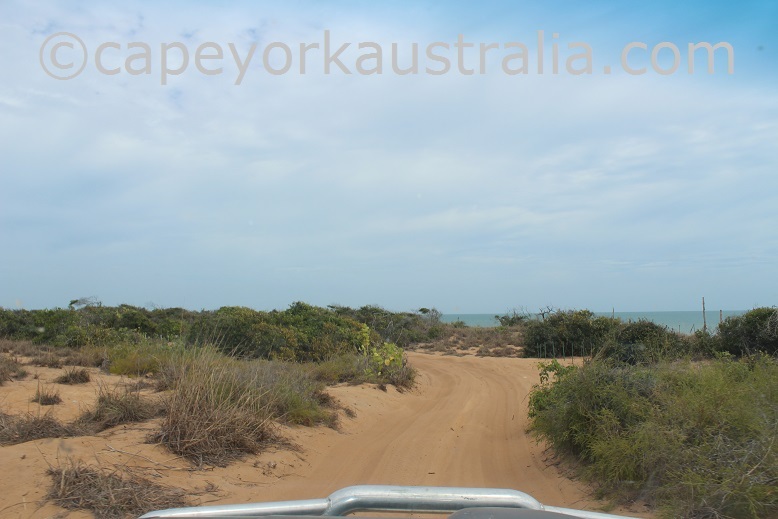 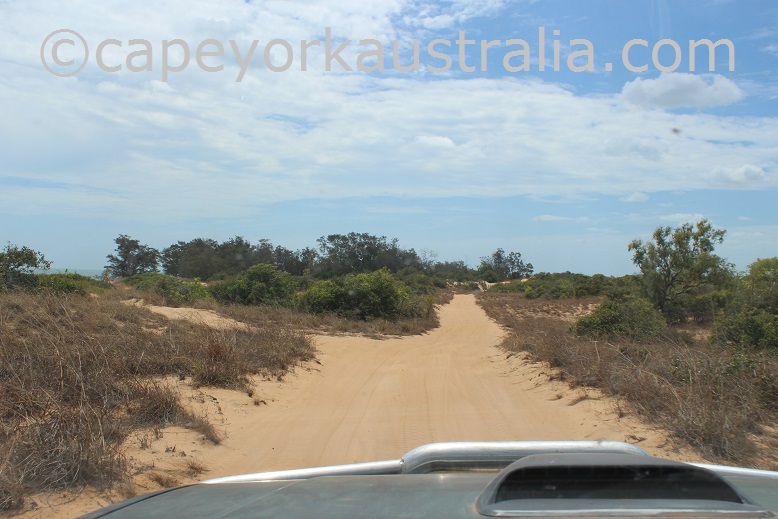 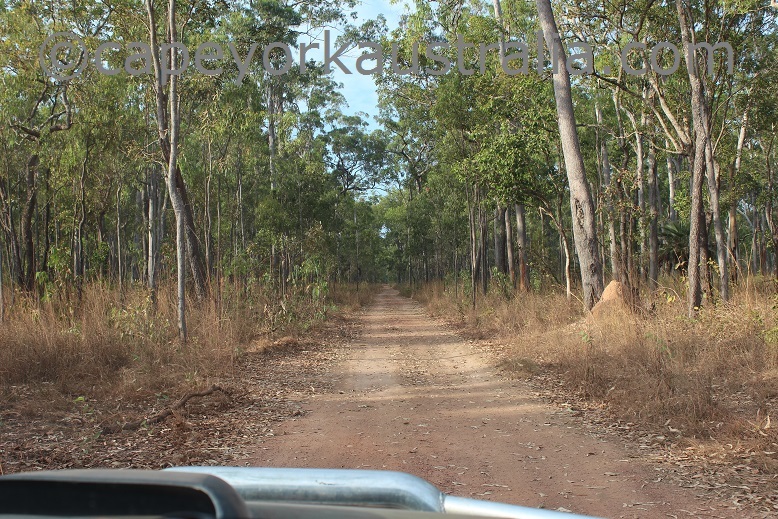 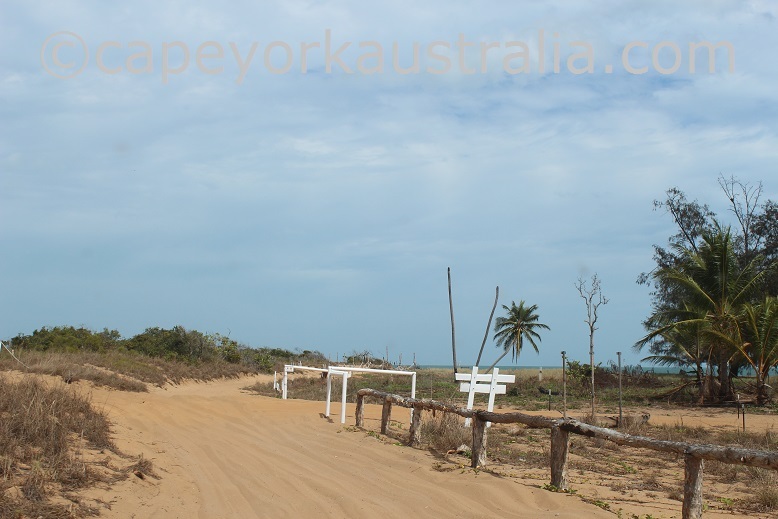 Like many places north of Weipa, it is on Aboriginal land, subject to permits and restrictions. 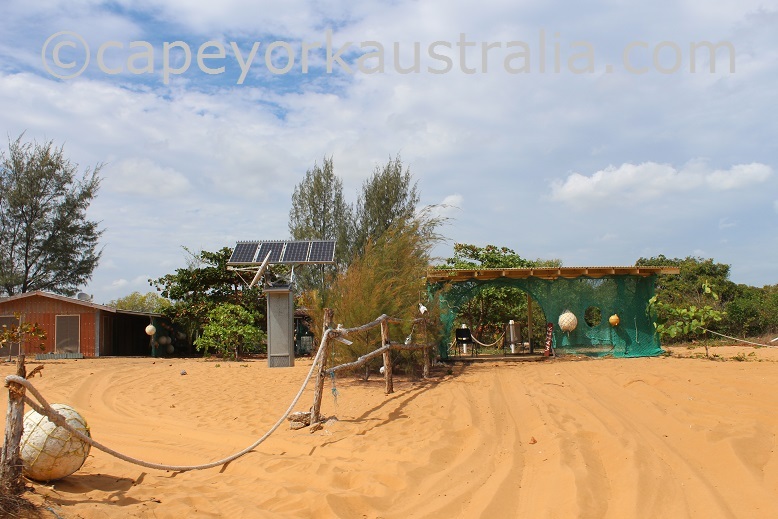 ... that takes you right to the beach. 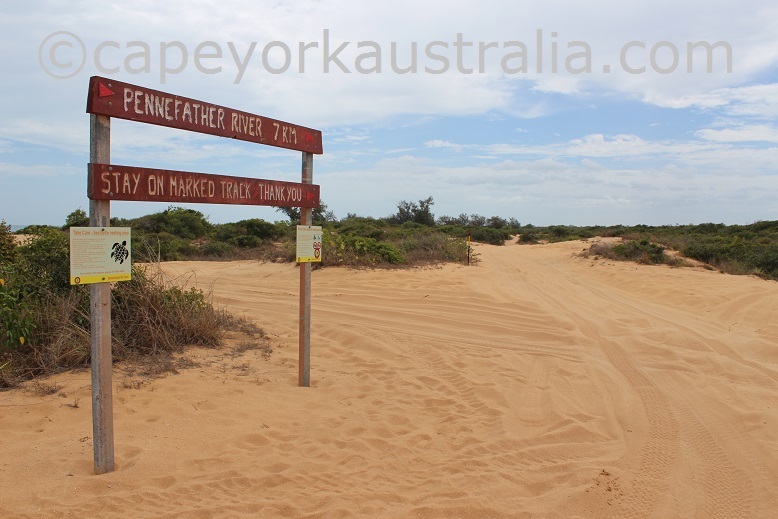 ... to the camps at Pennefather River. 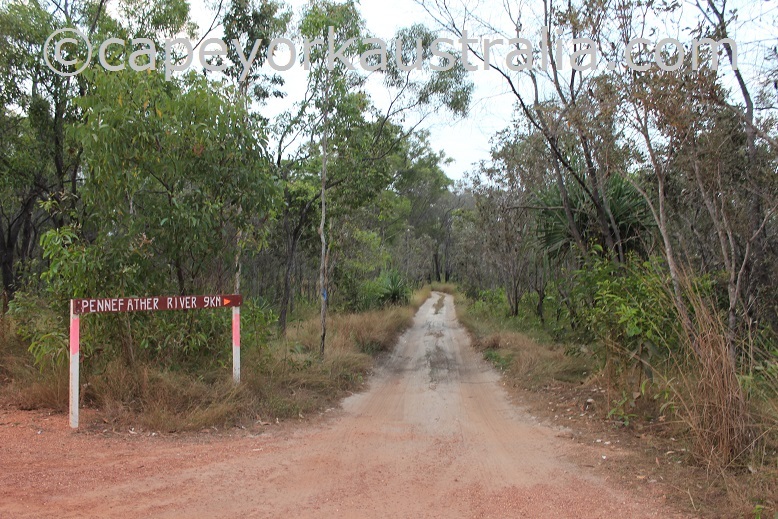 ... to the same camp at the mouth of the river. 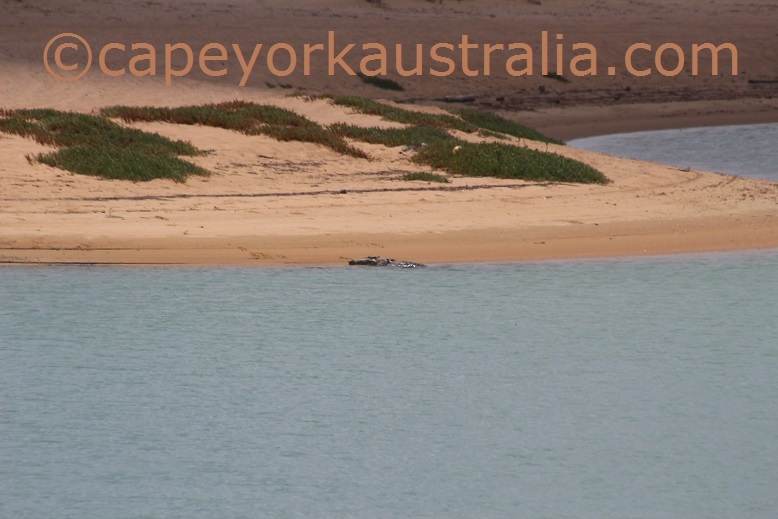 ... where there is a resident crocodile (on the photo below it is right in the front, with the head on the sandy bank and most of the body in the water). 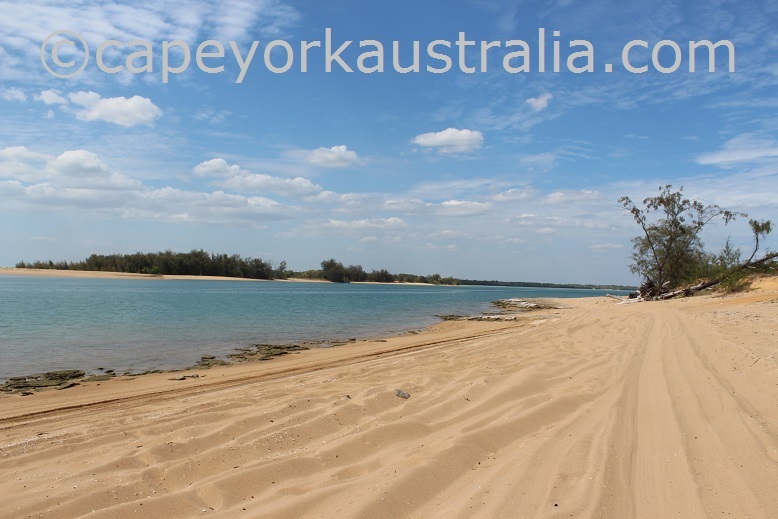 ... and east, the latter takes you further into the river. 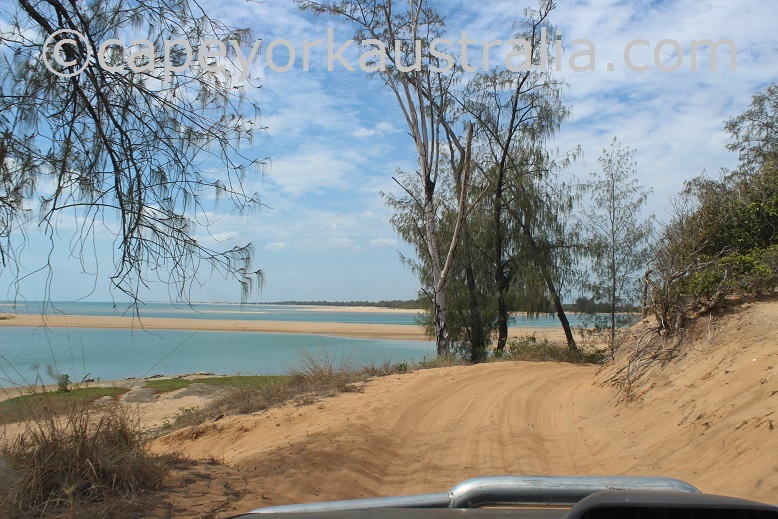 ... or you can take the beach drive. 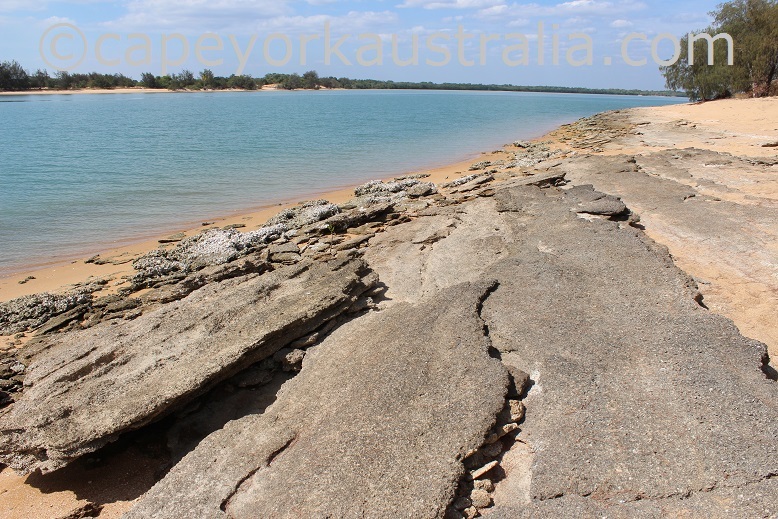 There is a bit of a rocky shore ..
... with some oysters and popular with fishing. 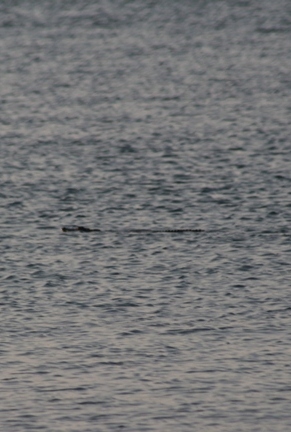 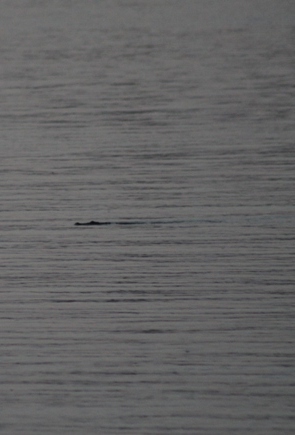 Again it is easy to see crocs swimming in the water, just keep your eyes open for them! 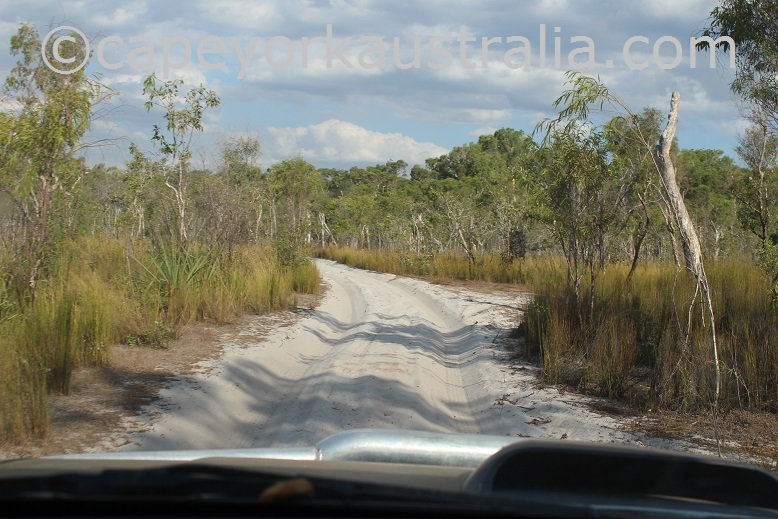 Too many people come back from their trip then write to me that they didn't see any crocs .. well that means they haven't been looking!